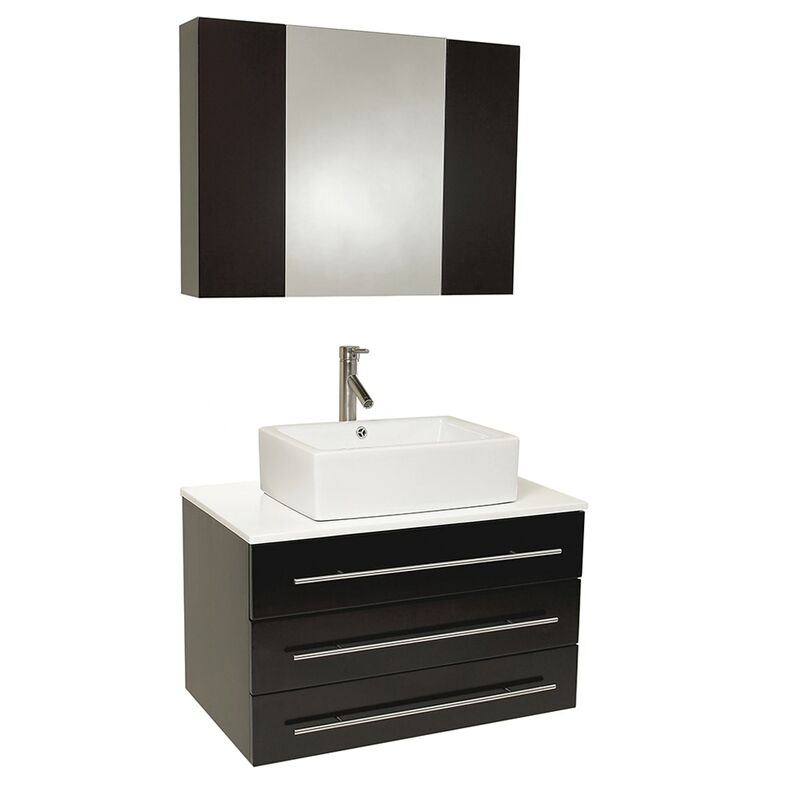 The Modello is perfect for smaller spaces. Clean lines and simple chrome hardware compliment the combination of espresso, white and chrome. Comes complete with medicine cabinet and marble countertop. 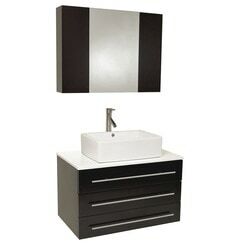 Dimensions - Vanity: 32"W x 19.75"D x 25.63"H; Sink: 17.75"x12"x4.38"